The entrance to Duck Broad can be seen in the background. 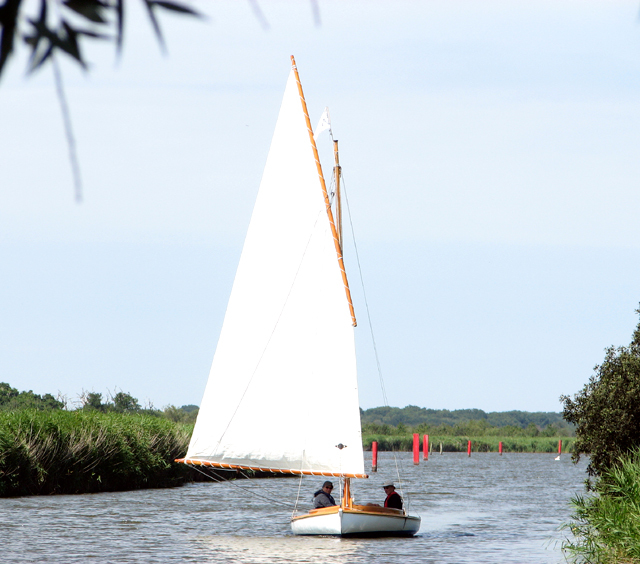 Candle Dyke is a drainage channel linking the River Thurne in the south with Heigham Sound and Hickling Broad, further to the north. In Arthur Ransome's children's adventure "The Big Six", Pete, Bill and Joe land a 30½ lbs pike which is later stuffed and displayed at "The Roaring Donkey" pub. They are fishing in Candle Dyke (Ransome calls it Kendal Dyke in the book).